Bill and Gloria Gaither invite you to join them with some of their trademark gospel sounds. Guest speakers include Joni Eareckson Tada Zig Ziglar Billy Graham and Sheila Walsh among many others. 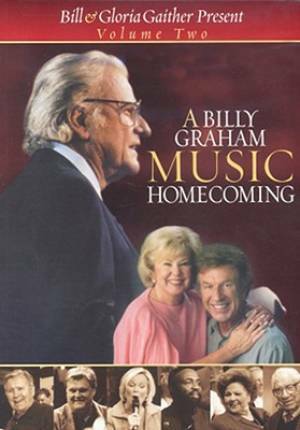 Billy Graham Music Homecoming 2 DVD by Bill & Gloria Gaither was published by Capitol in November 2015 and is our 2208th best seller. The ISBN for Billy Graham Music Homecoming 2 DVD is 0617884443498. Be the first to review Billy Graham Music Homecoming 2 DVD! Got a question? No problem! Just click here to ask us about Billy Graham Music Homecoming 2 DVD. I want to give these to a man who is deaf. Are there English subtitles? A:Yes, this DVD is listed as being "Subtitled/Closed Captioned". Thank you for using the Q&A Forum.